COLONIE – Siena College will soon be home to the largest telescope in the Capital District. 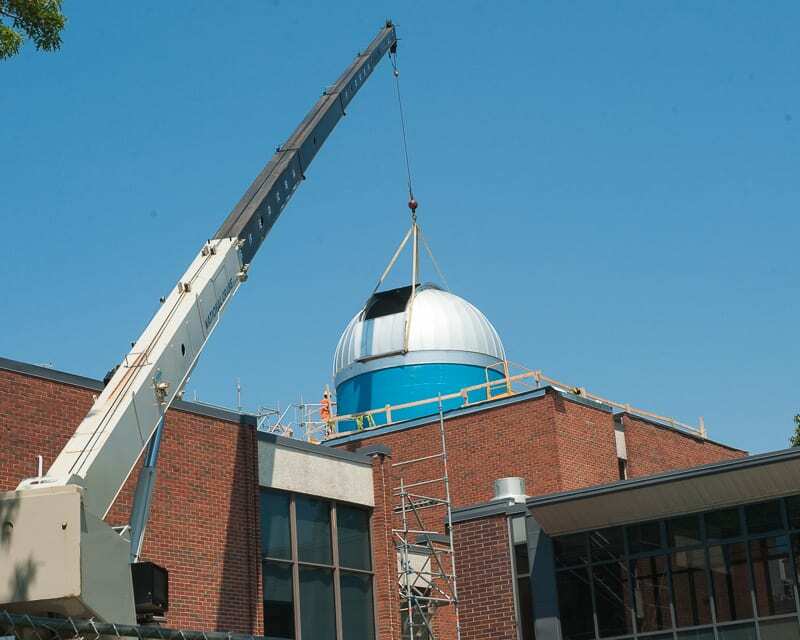 A crane hoisted the 2,600-pound dome onto the top of an observatory which sits on top of Roger Bacon Hall on Monday, July 2, that will eventually house a $210,000, 27-inch telescope. The telescope will be used for a range of purposes, said Rose Finn, chair of the Physics and Astronomy Department at Siena, from allowing the public to come and take a peak to research projects. The telescope will see “millions and millions of light years” into space and it’s hard to describe what that actually means. But, Finn said, the moon would be too bright – or too close – to examine through the telescope. astrophotography is also being discussed. “There is so much interest in astronomy that we can do a lot with our students and with the community,” she said, adding that when the college hosted an “eclipse night” some 500 people showed up. The dome is very basic, and is make out of simple tin. It’s by design, though, because for optimal viewing the temperature inside the telescope must be the same as it is outside. There is an entire field of science dedicated to optimizing such equipment and if there is that drastic of a temperature change, fungus and other imperfections could distort the high-tech, high quality glass and mirrors. If it’s 10 degrees below zero or 90 degrees outside the dome, it should be the same inside. The dome has a trap door-type feature that opens so the telescope can see outside, and spins depending on which direction the user wants to view. 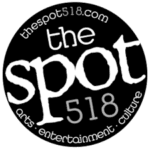 Once everything is up and running, most everything can be done from a remote location via computer. It took a carpenter with the construction company BBL, and his apprentice daughter, just two days to build and that was after a week to build the base. There is about another week of work left to finish everything off. The telescope should be up and running by the time students return for classes in the fall. He said it was somewhat nerve wracking knowing the media and some 40 to 50 people would be watching the crane hoist the dome he built on the ground onto the circular base he built on the roof. “On Friday I triple checked this thing five times because the last thing you want to do is pick it up, with these people watching, and find it doesn’t fit,” he said.